A post about cheese on a gluten free blog? really? Yes, really! 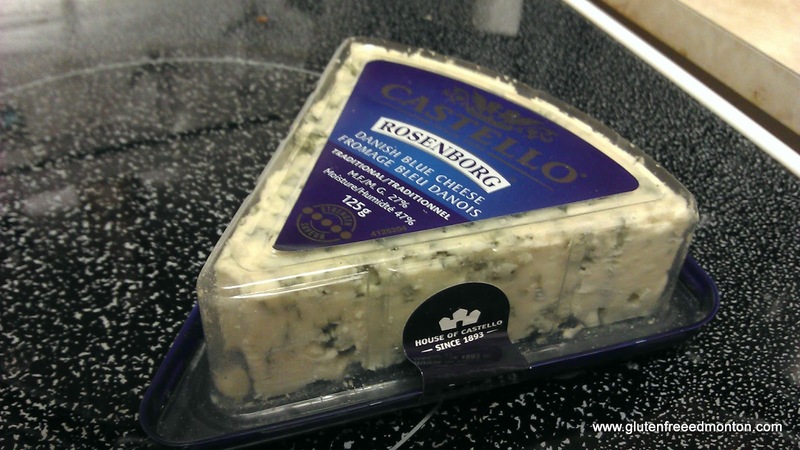 Why not a blog post about cheese on a gluten free blog? We sometimes forget about all the great foods that are naturally gluten free that can be used to compliment meals and cheese is one of these. So how did this post come about? Well, the cheese people at Castello contacted me. They wanted me to right about there cheese. So I said, "Sure! ", after all their products are naturally gluten free. I asked them for a recipe that I can make with some of their cheese, because after all, I have to make this interesting enough for you guys to read right? Castello gave me a voucher to buy some blue cheese and a recipe for a Fig and Blue Salad. So I tried out half the salad. Meaning, by the time I got around to making the salad, I realized I had prunes and but no figs, so I stuck with the focus of making the blue cheese dressing. Which I was really looking forward too, since I love blue cheese, and have had blue cheese salad dressing on many occasions, but never made my own. I'll give you the whole recipe they gave me, but I really only tried the dressing. Which turned out so tasty and really hit the spot. I think the next time I make chicken wings, or gluten free buffalo chicken fingers, I may have to pull out this recipe as a dipping sauce. Make cuts in the figs from the top down as if you were going to quarter them but leave the base intact so they remain whole. Arrange them in a suitable dish with the salad leaves as a bed, the raspberries scattered among the leaves and half of to three quarters of the cheese crumbled over the salad. Drizzle dressing over salad and store the rest in a jug for additional pouring. 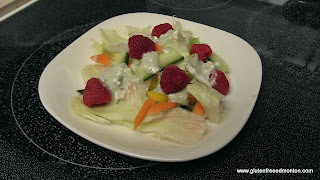 This might make a nice last minute holiday salad for Christmas dinner with the red raspberries and figs!